Time: 5h25min (walking time without stops). 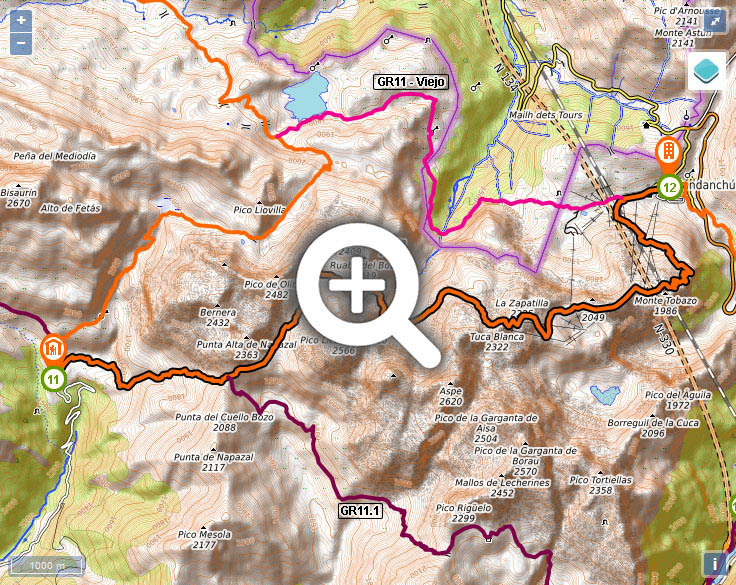 Difficulty: in snow, pay particular attention to the Paso de la Oreja. Water: there are several points along the way where you can fill up with water. The main ones are indicated in the description. Take care with the presence of cattle as far as d'o Bozo col.
(0h0min; 0kms) Lizara auberge (1.540m). Take the path that crosses the Lizara plain. 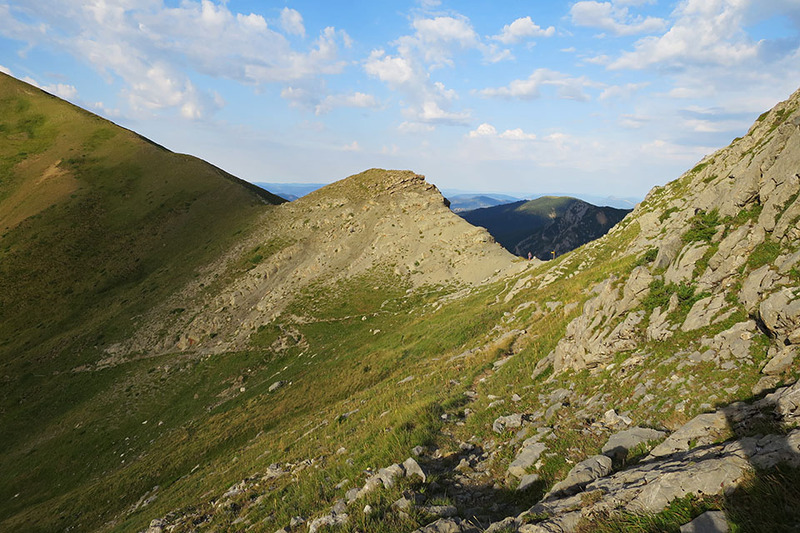 Leave the Chorrota waterfall (usually dry) to the left at the end of the plain and keep on walking uphill as far as Napazal cabin (used by shepherds) to the furthest point you can reach by all-terrain vehicle. 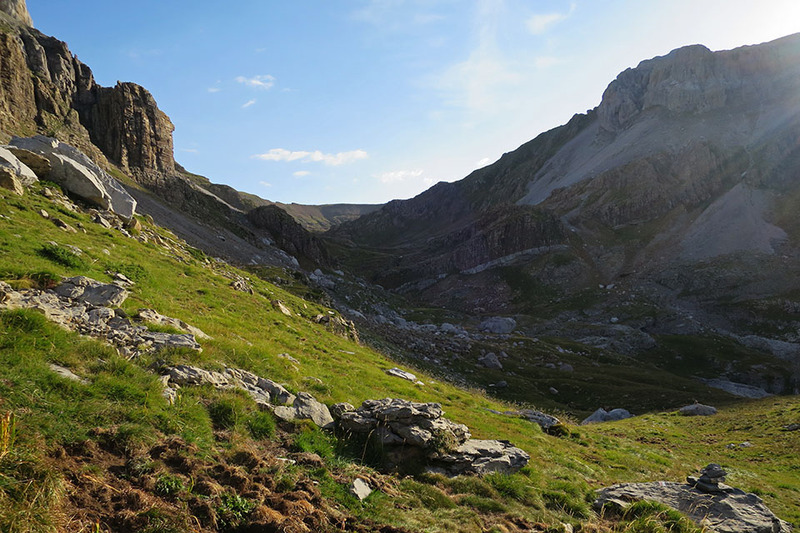 The GR11 continues to the left alonfg a path that enters Napazal ravine on the right-hand side. In summertime, water is available sporadically. (1h20min; 3.3kms) Bozo Col (1.995m). 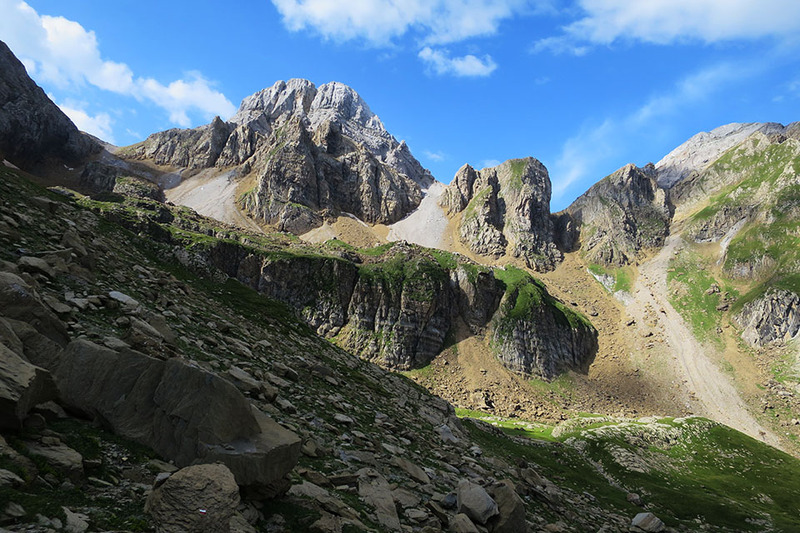 You abandon the variant GR11.1 which drops down to Plana de Izagra, and follow the uphill path on the left, skirting the mountain, below Punta Alta de Napazal (2,363m). The path enters (n) the valley of Ribereta d'o Bozo, below the limestone crags of Sierra de Bernera on one side and Llena del Bozo on the other. 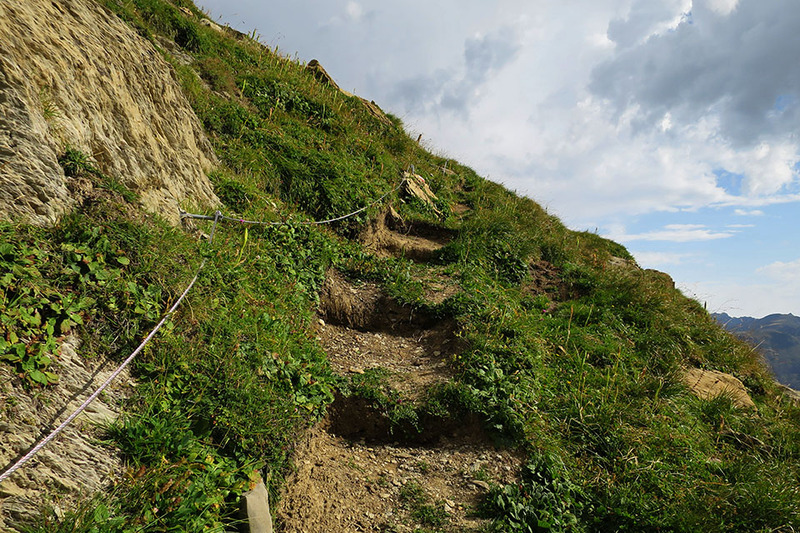 A handrail is at hand to assist with crossing a rocky stretch. 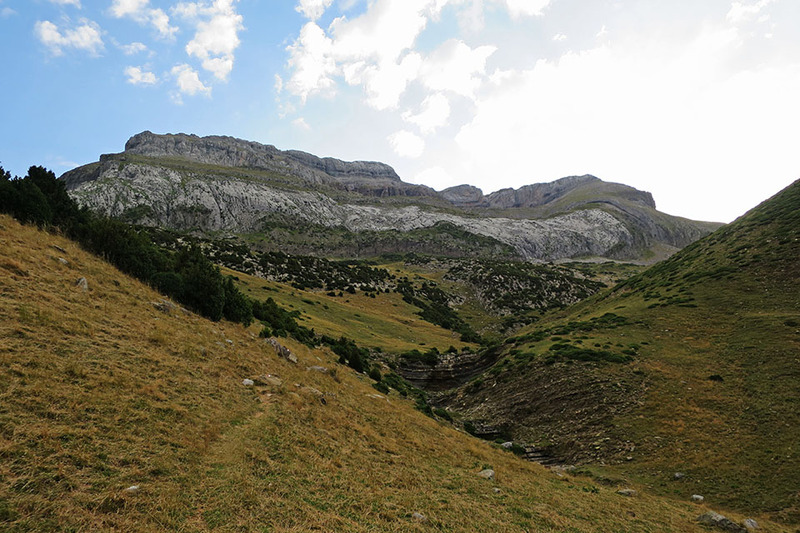 Even though you might find the river course at this point is dry, you are much more likely to find it carrying water the further you head up towards the col. At the Foya de Aragües the valley opens up and changes direction (E). 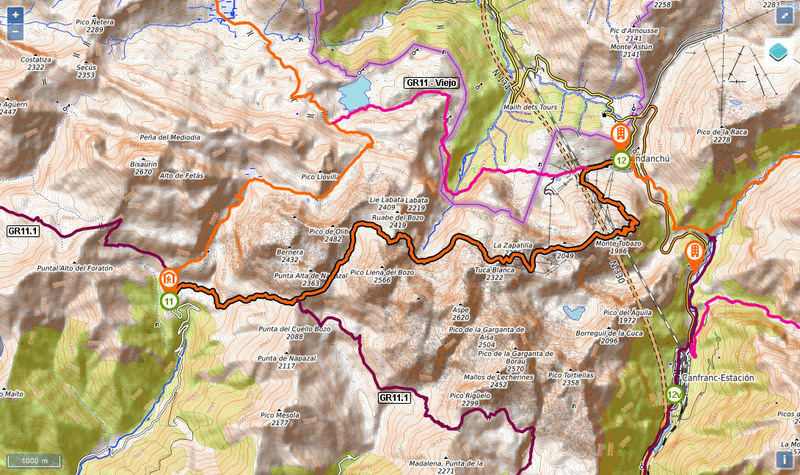 (2h30min; 6.3kms) Esper Col / Aísa Pass (2.262m). 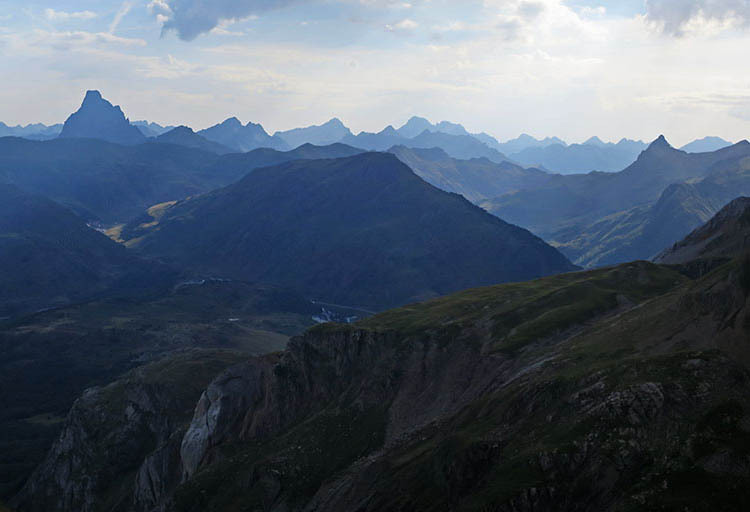 The view towards the Central Pyrenees is spectacular. 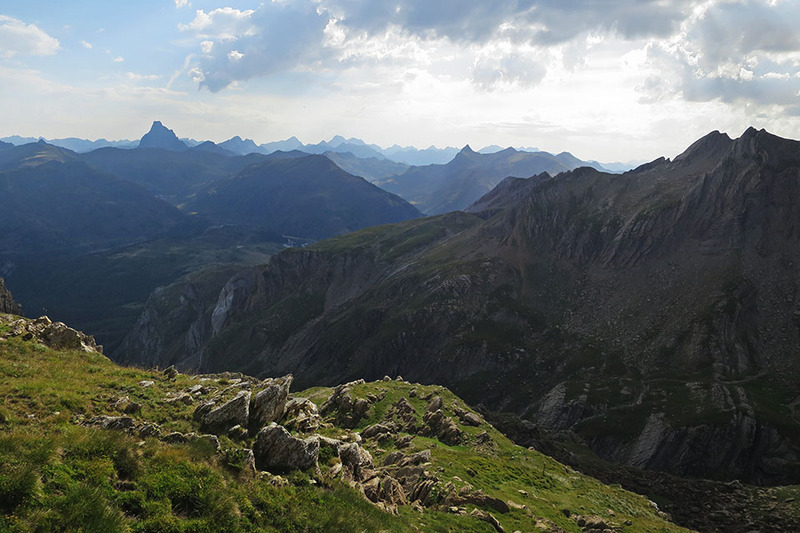 Midi d'Ossau, Balaitús and Vertice Anayet all stand out on the horizon. 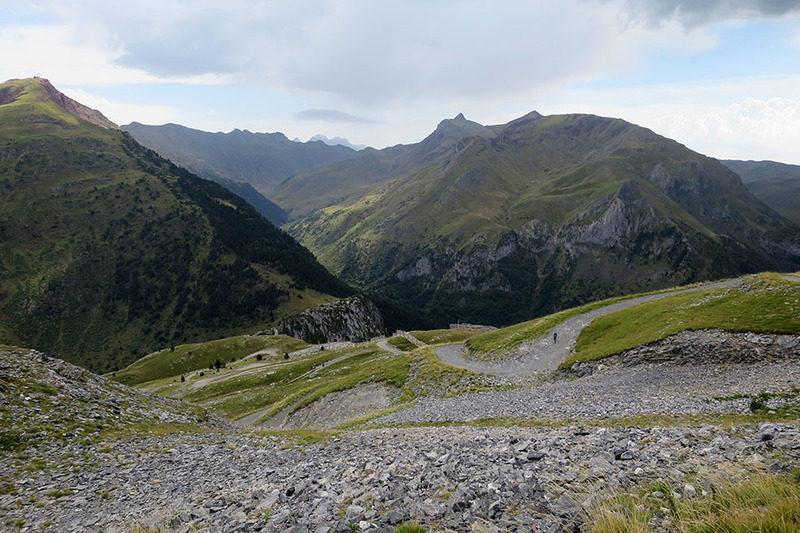 The path descends markedly towards the cirque of Aspe (300m in 1km), dominated by Llana del Bozo (2,559m), Llana de la Garganta (2,599m) and Aspe (2,645m). 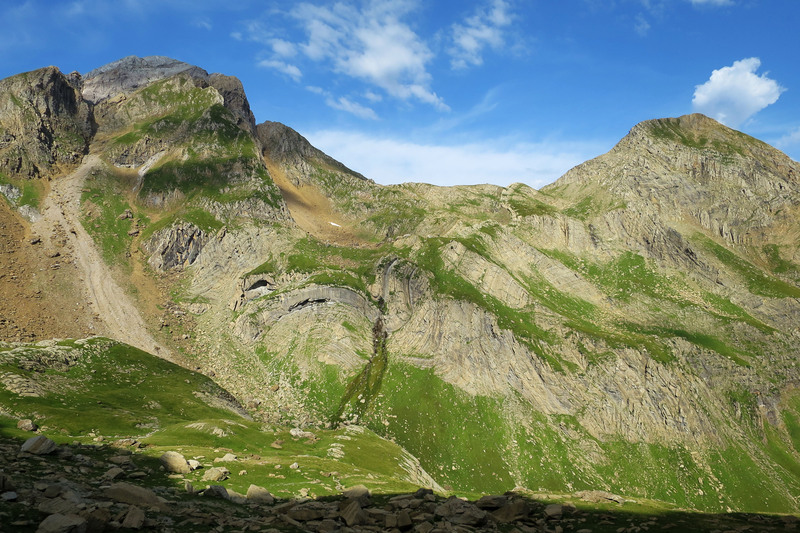 Almost at the end, a line is at hand to assist with the steepest section, el Paso de la Oreja –a grassy strip suspended above a series of crags whose folding strata in an anticline shape are reminiscent of the shape of an ear. 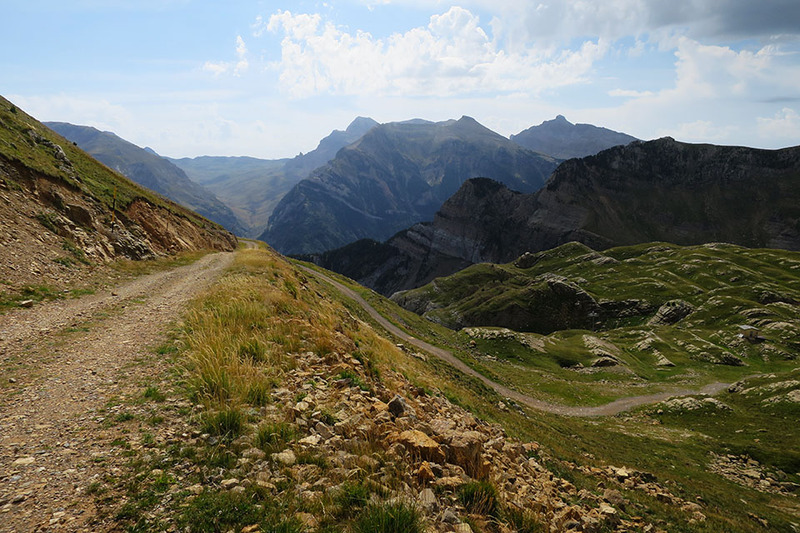 Following the cairns, you cross the base of the cirque and begin the last uphill section of the stage. Right at the start you will find a trickle of water, as well as a little runoff water on the right-hand walls. 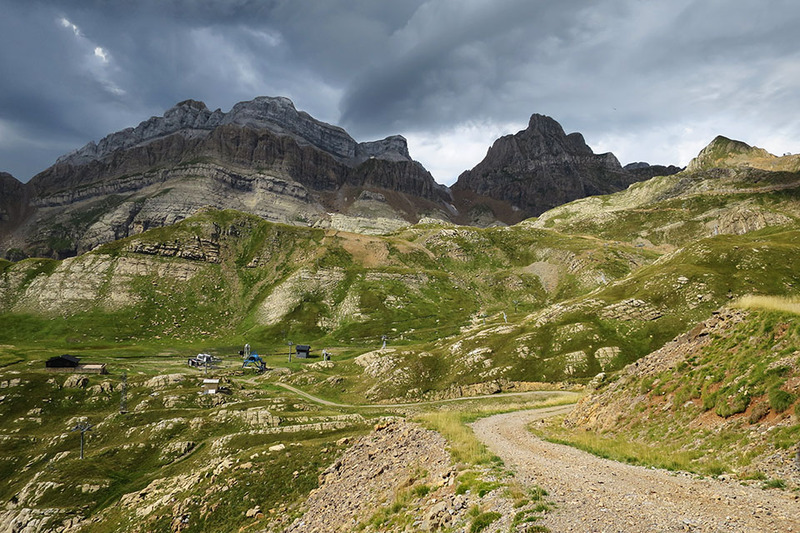 The GR11 climbs up along the hillside over rocky terrain, then turns right (s) and crosses a chaos of boulders before emerging at the ski slopes in Candanchú. 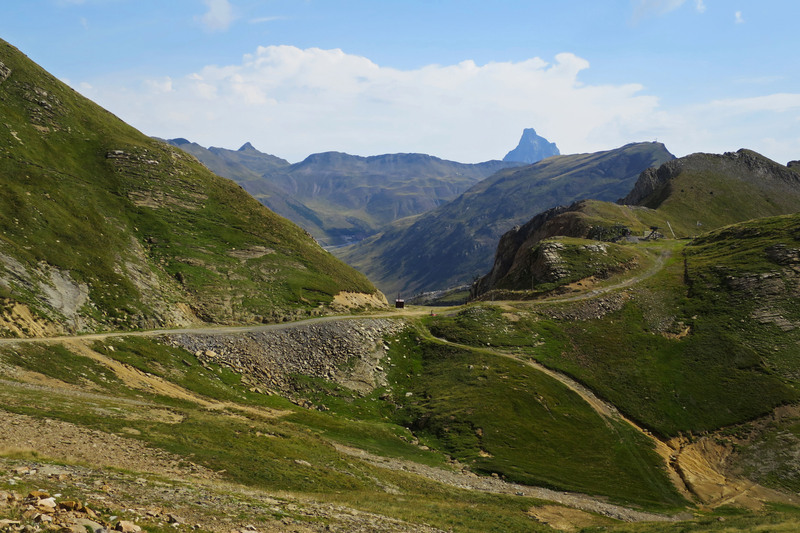 (4h25min; 12.1kms) Pastor Pass (1.968m). 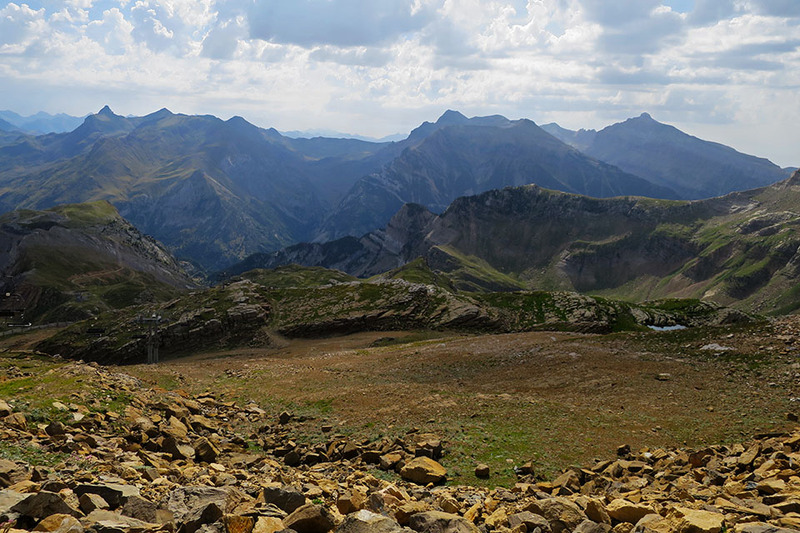 A little lower down you reach another col with various resort infrastructures, from where you can make out the Aragón valley and the twisting path that takes you to Candanchú. 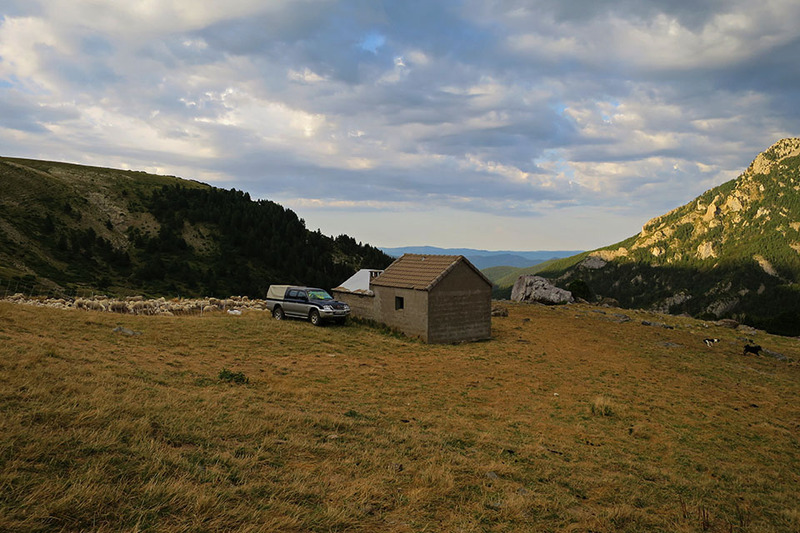 At the beginning of the stage, Refugio de Lizara (/) (staffed, half and full-board, with bar, accessible by road). 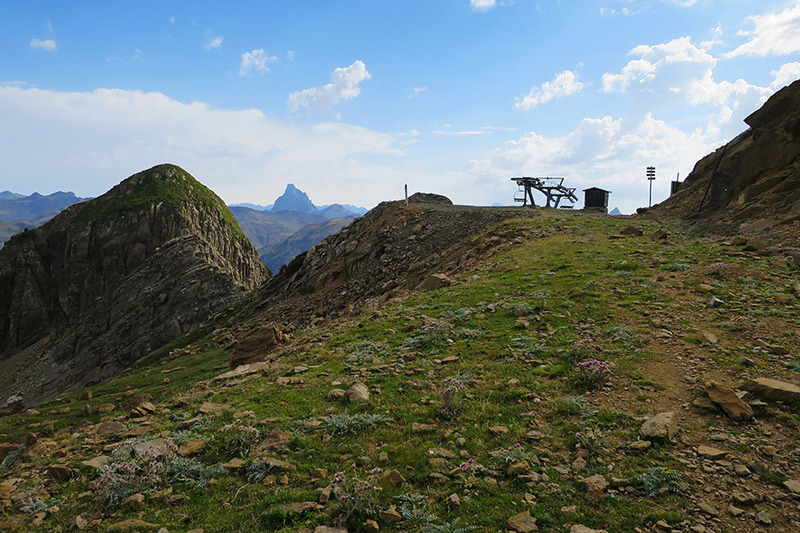 During the stage, between Tortiellas pass and the Pastor pass, there is a shelter-rubbish dump. In any case it could be used as a place of shelter if there is a storm. 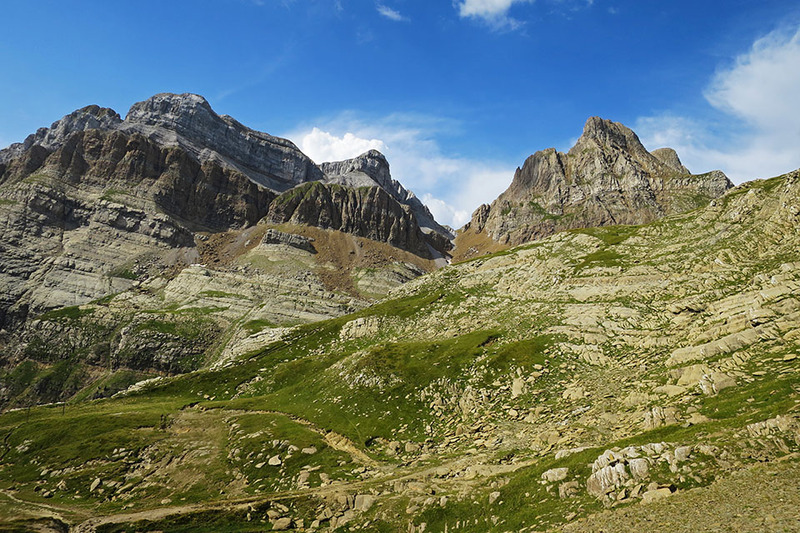 Midi d'Ossau, Lurien, Palas, Balaitús, Cambalés, Gran Facha, Vertice de Anayet y Picos del Infierno entre otros. Bajo la Llena del Bozo y el collado d'o Bozo, el paso de la Oreja. De frente, la Canal de Izas. Destacan los Anayet, la Pala de Ip y el Collarada. El GR11 baja por las pistas de servicio de la Estación de Candanchú. Lecherines y Aspe sobre las pistas de Candanchú. La pista describe incontables curvas de herradura bajando a Candanchú.